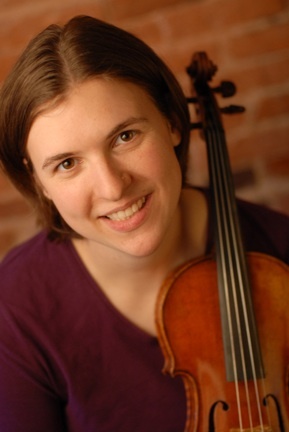 Megan started the violin at the age of three and continued her study of classical violin at the Eastman School of Music where she graduated with a BA in Violin Performance and Music Education in 2003. Since then she studied Suzuki Pedagogy with Anastasia Jempelis, one of the first violin teachers to teach Suzuki in the United States. At the Kanack School of Music in Rochester, Megan was mentored in teaching Suzuki violin and improvisation by Alice Kanack, author of the Creative Ability Development Series, a collection of musical improvisation books and CDs. Ms. Kanack was on the faculty of the Third Street Settlement in Manhattan and was nicknamed "Mozart's Mother" by Shinichi Suzuki in response to her innovative work in the development of the creative part of the brain. Megan has made her resources for learning to fiddle free and available to all fiddlers through her website fiddlestudio.com.